Our LED foam stick batons are the ultimate spirit item! The batons feature different lighting options, including a multi-colored flashing sequence, a color-changing sequence and more. 100 PCS Light Up LED Glow Foam Sticks Wand Rally Rave Baton DJ Party Flashing. Ravers will love them for their next rave party! These LED foam sticks are great alternatives to our plastic lightsabers. These LED Foam Sticks are used at many clubs all over the world. 1X LED Foam Sticks (Without retial box, Included 3 Button Batteries ). Three modes flash: flashing, fast flashing, slow flashing. 1Pc 26cm Crystal Light Stick Led Concert Glow Stick. Features: built-in three AG13 button battery. Weight: 50g. The battery can be replaced for recycling. 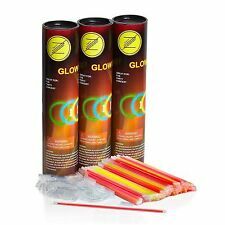 These glow sticks will last up to 6 hours. NEW - 12 Glow Stick Necklaces. Size = 6" length. Our LED foam stick batons are the ultimate spirit item! The batons feature different lighting options, including a multi-colored flashing sequence, a color-changing sequence and more. 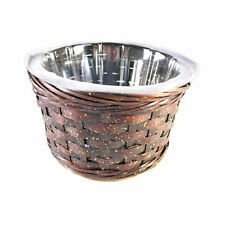 Perfect for concerts, school spirit events, sporting events, raves and other shows. 1 x Rainbow Laser Sword. Battery: 3×AG10 Button Cell Battery (included and cannot be replaced). Length: 68cm (26.7in). Due to the difference between different monitors, the picture may not reflect the actual color of the item. Emits green light, great for vocal concert and party to create atmosphere. Also can work as a signaling LED light rod in camping, cross country skiing, fishing and other outdoor activities. 1 x LED Stick with Keychain. 50 x Glow Sticks. ※Includes both sticks and connectors,can make different shape. ※Bend and Shake for a glow that will last up extended use. ※Vibrant Colours:Red, Yellow,Blue,Green, Orange Mixed. Due to the light and screen difference, the picture may not reflect the actual color of the item. There are a mix of 5 colors -- Yellow, Pink, Orange, Green and Blue. Also included are 300 connectors so you can hook the ends together to make bracelets, ankle bracelets and necklaces. These glow sticks will last you all night long. Fashion LED Bracelets are the hottest LED bracelets for all occasions! They are bright, super stylish and everyone wants one. Be the brightest and the flashiest when you wear a Fashion LED Bracelet. NEW - 100 PCS Light-Up Flashing Retro Sunglasses. Kids and adults will love the retro design as they see them flash. Great for weddings, party favors, dress-up parties, sleepovers, etc. Colors included: White, Blue, Green, Pink and Purple. 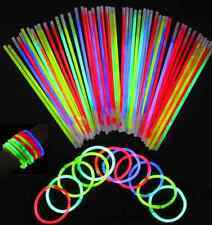 25x 8" Mixed Color Light Bracelets Necklaces Glow Stick Party Favours Rave Disco. Material: Plastic fluorescent powder. 25x Glow Stick. We'd like to settle any problem in a friendly manner. Great fun to use them at fairs, school dances, parades, weddings, parties, festivals, etc. 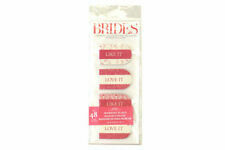 Flashing LED sticks have an On and Off switch function for saving battery life when not in use. Colors of light include red, blue, and green. Each LED foam light stick contains a variety of flashing modes suited for different moods and atmosphere. There's nothing cooler than flashing star glasses. These glasses fit most in one comfortable size. Freak out your friends with lights from your eyes. NEW - 100 Light-Up Flashing Star Glasses. There are a mix of 5 colors -- Yellow, Pink, Orange, Green and Blue. Also included are 100 connectors so you can hook the ends together to make bracelets, ankle bracelets and necklaces. These glow sticks will last you all night long. Feature: marshmallow stick. style: funny and make your candy shiny and glitter. color: shown as the picture. You can follow below process to chontact us. All pictures are for illustration purpose only and Colours may vary slightly. Our LED foam stick batons are the ultimate spirit item! The batons feature different lighting options, including a multi-colored flashing sequence, a color-changing sequence and more. Perfect for marketing campaigns, concerts, school spirit events, sporting events, raves and other shows. Simply push the button and enjoy! This 8" Strobe Stick lights up in 6 different selectable modes! This product is a hit on the dance floor and at parties! 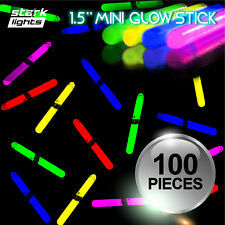 NEW - 200 Light-Up Flashing Light Sticks. 1000 Glow Sticks Bracelets Neon Light Colors Party Favors Rally Raves EDC 8"
There are a mix of 5 colors -- Yellow, Pink, Orange, Green and Blue. Also included are 1,000 connectors so you can hook the ends together to make bracelets, ankle bracelets and necklaces. These glow sticks will last you all night long.